If you would like a physical copy of our catalog, you may follow the link below to get yours delivered to your address for free! Just fill out the required information and we'll ship it out as soon as possible! We ship the finest, the top 10% of Tree Ripened Texas Red Grapefruit and Sun-Ripened Texas Oranges to you, as long as they are available. We ship Navel Oranges until they run out, which is usually late December, early January. At that time, we switch to the next sweetest orange that is in season. Most of all our Oranges are seedless. However, "seedless" is a relative term and means there are very few seeds compared to heavily seeded varieties. We hand pick and hand select each piece of fruit that goes into your package. It is picked at the peak of maturity and is ready to be eaten promptly. Our fresh citrus fruit is extremely perishable and should be opened and unpacked from the shipping carton immediately when it is received. A copy of our care instructions and guarantee is included in each package. To ensure its continued good taste please refrigerate or store in a cool dry place. Christmas orders must be received by 5:00 pm CST December 12th, 2018 to assure Christmas delivery. For orders received after the guarantee deadline, that are unable to make the few remaining last minute trucks (as those routes have already closed), we will notify your recipients that a gift has been ordered for them by you and it will be shipped to them in January when we resume shipping after the Holidays. As our product is highly perishable and extremely susceptible to freezing we do not ship anything from Dec 19th to Jan 4th, due to the delays associated with the holidays. Orders for January shipment must be placed by 4:00 pm CST January 8th, 2019. For orders received after that date, we will try our very best to get them shipped out, but it is possible that it will have to be scheduled for February Shipments. Orders for February shipment must be placed by 4:00 pm PST January 26th, 2019. For orders received after that date, we will try our very best to get them shipped out, but it is possible that they will have to be scheduled for March Shipments. Orders for March shipments must be placed by 4:00 pm CST March 5th, 2019. Orders received after that date that do not make our trucks will be scheduled for April. Orders for April, our last shipment for Citrus packages, must be received by March 24th, 2019. Orders for items other than citrus received after this date will be scheduled for May. Texas Onions: Orders must be received by 5:00 pm CST April 20th, 2019, shipping is expected Late April to Early May. Texas Peach Orders: Must be received by 5:00 pm CST June 9th, 2019, shipping is expected around June 15th-18th. 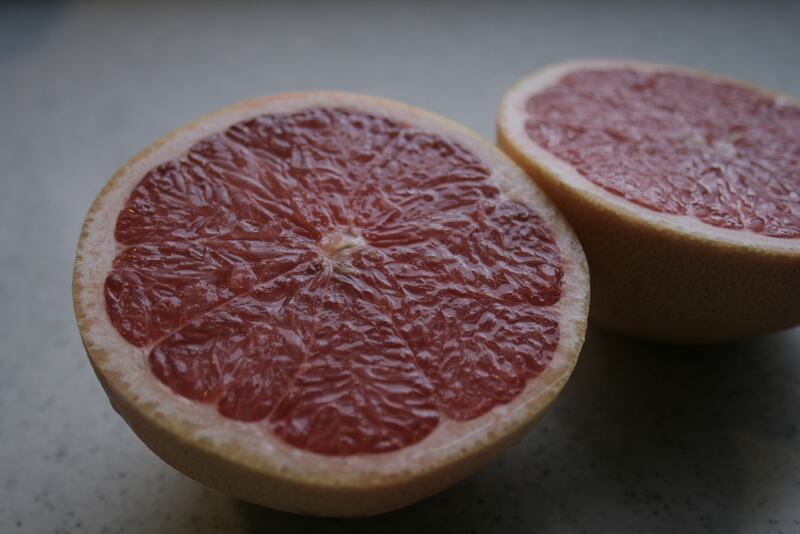 Our shipping season for Ruby Red Grapefruit and Oranges usually runs from mid-November (in time for Thanksgiving and the holidays) to early-April, and can vary due to the quality of fruit. We begin shipping as soon as the fruit ripens to our high standard of quality, this way we can ship our customers the best of what South Texas has to offer. Shipping will end when the fruit is too mature to meet these same standards. In order to maintain our track record of shipping only the most desirable fruit on the market, we ask that you respect our shipping season and that if our fruit is determined to not be in its prime, we can not ship it. A card will be sent to recipients for those items not available during the holidays. All other items are shipped as indicated. There is an $8.95 shipping and handling charge on each package we ship via our standard methods. We only ship within the continental U.S., we can not ship to Hawaii, Canada, APO or FPO addresses. We will ship to Alaska, however, we can not guarantee the shipment. Alaskan packages must be sent FEDEX 2nd Day, and will incur additional express charges. If you must use an alternative shipping method (i.e. UPS, FedEx, or FEDEX 2nd Day) please call us for a quote at 1 (800) 748-7182. Each gift we send will clearly indicate who it is from on the label. There is also ample enough space for a brief greeting or message. Please limit your greeting to 80 characters, including spaces. However, you may provide to us your personalized greeting cards, business cards or gift inserts. We will gladly include them in your gift packages. Substitutions are seldom necessary. However, we must reserve the right to substitute. In such cases, items will be of the same quality and equal or better value. Almost all of our products make their final delivery via the US Postal Service - Parcel Post, except for Briskets, Fajitas, Tamales and Peaches, which are delivered by UPS or FedEx. It is therefore very important that we are given a valid US postal delivery address in order to guarantee proper delivery. Briskets, Fajitas, Tamales and Peaches will require a physical delivery address. If you wish to ship your citrus by another method, please call 1 (800) 748-7182 for rates. Parcel Post shipments are forwarded from the Rio Grande Valley under temperature controlled conditions in straight through trucks to major Post Offices near the final destinations. This is the only practical method for sending perishable citrus packages in individual addresses. Undeliverable packages due to an incorrect addresses provided to us will not be refunded or reshipped. As these packages are perishable, they are not returned to us, but are donated it to a local charity or food bank in the area of attempted delivery. When ordering holiday delivery, please take in to account your recipient may be traveling during that time and not be available to receive your gift. These gifts will need to be scheduled appropriately . Our product is extremely perishable and must be opened, unpacked and refrigerated immediately. It can not sit on a porch or in a post office for extended periods of time. If packages are not claimed, we cannot refund or replace them. Our Parcel Post shipments leave South Texas on refrigerated temperature-controlled straight through trucks to major Postal distribution locations near their final destinations throughout the US. This is the only practical method for sending perishable citrus packages to individual addresses. It protects the fruit from freezing temperatures or excessive heat, depending on the time of the year. It is fast and safe and saves you money, allowing us to only charge $8.95 shipping and handling per package, regardless of its weight or destination. But, it does limit our freedom in scheduling and for this reason, we only ship once monthly, with the exception of December. Thanksgiving orders must be received by 5:00 pm CST November 11th, 2018 to assure Thanksgiving delivery. We suggest that this be left to our discretion; and we promise to ship in ample time to assure pre-Christmas delivery provided, of course, that you get your order to us by December 12th. We cannot guarantee pre-Christmas delivery after that date, but we will try our best to do so. Our last pre-Christmas trucks to certain areas leave about December 19th, to the last areas we ship to. If your order is received too late to be included on one of our last minute trucks, your recipients will be notified that their gift from you was unable to be shipped in time for the holidays and will be shipped the first shipping week in January, weather permitting for harvesting. We do not ship between about December 20th, 2018 and January 4th, 2018, due to the delays associated with the holidays. Don't fret! If you were unable to meet the holiday cut off dates. your recipients will receive a gift card letting them know it will be delivered in January. That way they can be anxiously anticipating its arrival. Folks are even more appreciative at that time. The hussle and bussle of the holidays are over, and they can enjoy our gift and your giving your loved ones a healthy start to the New Year!. Not to mention the longer the fruit is on the tree the sweeter it is. One of Mother Natures little secrets.